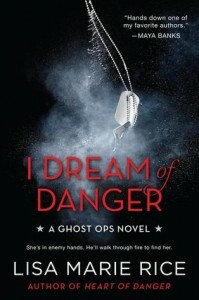 My second book in the Ghost Op series, I DREAM OF DANGER, is coming out July 2nd. My guys—heroes and heroines—save the world before that can happen. I have always enjoyed apocalyptic literature and there’s a ton of it out now. I like it all—zombie apocalypse, EMP taking out the grid and plunging us into the dark ages, a virus that takes out almost all of humanity. If it’s a book about a deathly peril, threatening our very existence, chances are I’ll like it. There are two reasons I love apocalyptic literature. Firstly, I happen to live in a small southern Italian city, part of the world that will probably survive the apocalypse. Mainly because it already has—it was a very prosperous area, Magna Grecia, during Roman times and it survived the fall of the Roman Empire. The signs are everywhere to be seen. Hilltop towns, surrounded by strong walls, to keep the towns safe from barbarian hordes and bandits. It’s a part of the world that has been traditionally cut off and has been since the Fall of the Roman Empire, and it has been very very poor. It’s not poor any longer, luckily. But if something happened to plunge the world into darkness, I don’t think the people will take up arms and start shooting each other or hoarding food or stealing. There is a huge tradition of solidarity that I think would come into play immediately. Food is not shipped in from huge distances; all of it is local. Cereals and livestock and dairy products and vegetables and legumes and wine are readily available, within a radius of 20 miles. There are four rivers running through the region and the plentiful water is clean. Every household has a grandfather who knows how to cure pork, make sausage. A grandmother who with a couple of handfuls of flour and some water can make enough pasta for several families. People are used to bartering their services. Uncle Giuseppe will fix your car for you if your son, the lawyer, can help him out with some forms. That kind of thing. If The End of The World as We Know It (affectionately called by survivalists TEOTWAWKI) comes, I think this area would immediately revert back to a rougher, much poorer time but I don’t think society will break down. The Apocalypse is a type of reading I recommend to everyone, because even reading one novel about the Breakdown of Everything makes you appreciate just what we in the prosperous Western countries have. Everything. We have everything. We turn a tap and hot water comes gushing out. We go a supermarket and choose among the groaning shelves which delicacy we’d like today. Our lives are filled with comfort and entertainment. I am, personally, very fond of personal hygiene. I do not like to see rotting stumps in people’s mouths. I really appreciate modern medicine and modern dentistry. I am not fond of the idea of eating rat brains roasted over an open campfire. We need to appreciate that most of us live in relative comfort and ease, we can communicate with more or less anyone we like. Even the most remote part of the world is never more than an 18 hour flight away. Take Manhattan, an island I love. It’s got everything your heart can desire and it’s got wonderful things you would desire if you knew about them. Thousands and thousands of people move thousands and thousands of tons of food and water into the island daily. Now…imagine a darkened Manhattan, the bridges blown, lights out, no heat, no supplies. Imagine eight million people trapped on an island and imagine what life would be like after a week, a month, a year. I was caught in lower Manhattan during Sandy in a hotel with no heat and light, and just that minor taste of the Apocalypse was enough for me. But…reading about the Apocalypse—now that’s fascinating. How will we react when TEOTWAWKI comes down? How will you react? 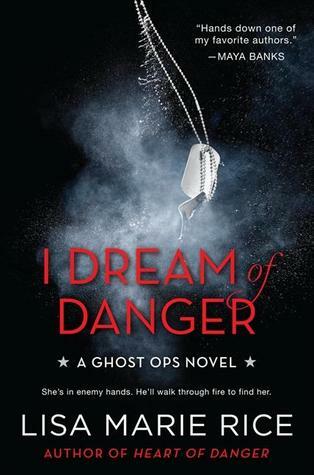 I hope you enjoy I DREAM OFDANGER and the last in the series, BREAKING DANGER, coming out in June 2014. She knew he’d come. Somehow she’d known. She dreamed of him last night. She often dreamed of him, dreams so vivid she woke with tears on her face, aching for him. Elle Thomason rose from where she’d thrown dirt onto her father’s coffin, before the two undertaker’s assistants covered it with earth and he would finally, finally be at peace—and that was when she saw him. He was outlined against the chilly winter sun on the small hill where the chapel stood. He was only a dark figure against the dying sun, but she would recognize him anywhere, anytime. Nick Ross. The boy she’d loved so much, now clearly a man. The dark outline against the pale winter sun was tall and broad-shouldered He’d been lean as a boy, like a young panther. Now he was a lion. He saw her. He didn’t wave to her or nod. Neither did she. She simply watched as he walked down the small hill toward her, eyeing him hungrily. She’d waited five long years for this moment. In all the dead years, the years of caring for her father as his mind died long before his body, she’d yearned for this moment. As everything else fell from her life, as she lost everything, as her life was taken over by the daily care of a man who no longer controlled anything about himself, the only thing left to her was her imagination. And in her mind, she went wild. In her mind, she and Nick were together. Her favorite daydream was meeting him in some sophisticated city. New York, Chicago, San Francisco. Even better, London or Paris. Of course, she was sophisticated herself. She’d had a number of love affairs that had taught her a lot. She was well-groomed, successful, utterly in control. Turning around in an expensive restaurant, there he’d be. In her fantasies she could figure out what she was—poised and successful and happy. But she could never figure out what Nick was. What he’d become. She only knew he’d be handsome and he’d love her. She couldn’t get beyond that point—that he still loved her, after all these years. Hi Lisa - I don't really want to think about the Apocalypse! I want everything to be rainbows and unicorns all the time. Reading The Hunger Games really had me thankful for what I currently have, though. I don't have to hunt and eat squirrel, which is a good thing. It would probably taste like chicken, though. On another note, I really need to check out your books - you are recommended to me by other awesome romantic suspense authors. Which of your books would you recommend I start with? Well, I can't outrun the zombies, even when I was young and thin, I was slow as molasses...but I can stand and shoot (although not as well as Rick on Walking Dead. How he can take out a zombie's head at 50 yards with a revolver...). And then once the zombies are cleared out, I could maybe spin you a sweater, if there are any sheep left. Otherwise, I'll be sitting in a corner crying copious tears, mourning running water and electricity.